Whether you gather supplies in your neighborhood or at the crafts store, your kids will love bringing the outdoors inside with these easy natural crafts projects featuring supplies found in nature. Your child can transform a photograph into an all-natural work of art. 1. Take a full-body photo of your child in front of a fairly plain background.2. Print out the photo as large as you can. Ours is 8 1/2 by 11 inches.3. With your child, collect natural items from your yard, such as bark, leaves, twigs, and flowers.4. Arrange the objects on the photo. There's no need to glue them.5. Take a photo of the new, collaged image and frame it. You can brighten your yard with this temporary art project that highlights (but doesn't harm) a favorite tree. First soak sidewalk chalk in water for a couple of hours to soften it, then go outside and choose a tree that's looking a little drab - the smoother the bark, the better. Rub the chalk on the trunk to give it a coat of color. Smooth out the chalk and blend the hues with a large paintbrush and water. This simple nature project lets you give feathered friends a treat, even during cold months. From corrugated cardboard, cut a large star with a circle inside. Poke a hole and add a loop of twine for hanging. Spread peanut butter on both sides of the star. Working over a rimmed baking sheet, coat the star with birdseed. The propeller-shaped seeds from maple trees form the wings of these delicate dragonflies. For each, place four maple seeds on your work surface with their ends meeting as shown above. Add a drop of tacky glue to each end, then rest a 4-inch twig on top. Let the glue dry. (A hot glue gun can be used instead, if an adult helps.) Turn over the dragonfly and add a line of glitter glue to the edge of each wing. Attach two small glass bead eyes with glue. 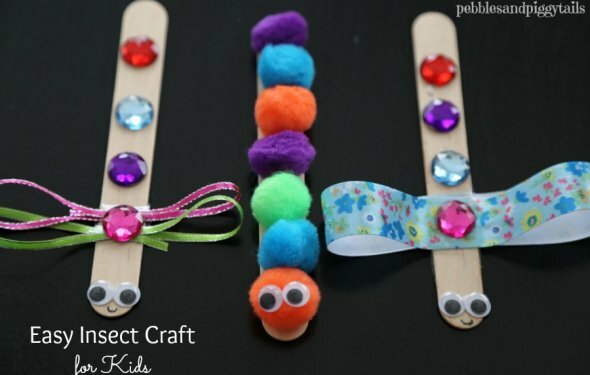 What is a easy homemade craft to make for mom? was unable to understand your question. Please re-ask it. Thanks!